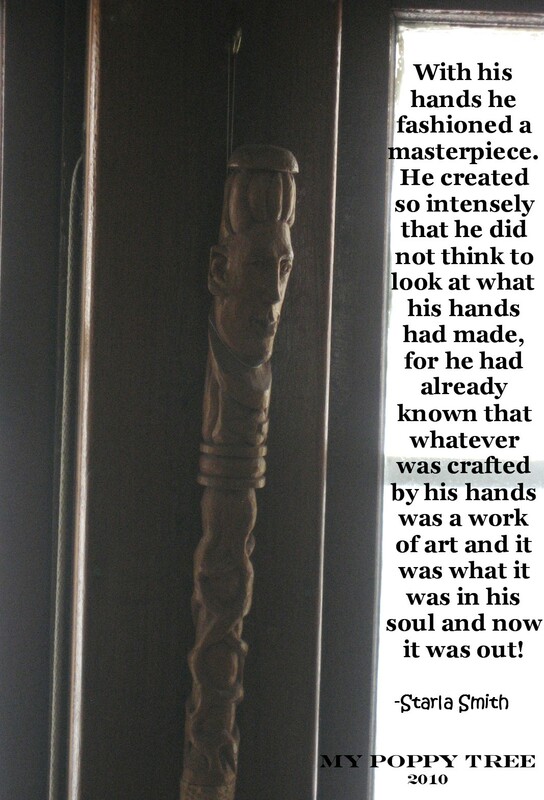 This cane exemplifies creation. The time it must have taken to bring it out from within for all of us to see and enjoy. Grammy always said that Poppy wouldn’t sell his art, instead he would simply give it to those he cared for because then he wouldn’t have to worry about never seeing them again..instead he would just go visit. ;0) That just makes me think that God might be the same. We are here given to the world to enjoy and so He will come and visit with us each day.